This week we’re reviewing BOTECO Vodka, an ULTRA Premium Vodka that’s relatively new to the market, and comes imported from Brazil. I’m sure you’ve heard this story before, boutique vodka pops up, slaps “ultra premium” on their label, charges a boatload, and really isn’t anything special. Then you go back to buying your Ciroc or Grey Goose, or even worse back to Smirnoff. Not so fast. This isn’t your typical vodka. The majority brands on the market today use wheat or potatoes as a base to their vodka which can sometimes be harsh and leave you with regrets. BOTECO is a sugar cane based vodka that uses 100% fresh pressed Brazilian cane sugar to create a unique tasting spirit that honestly made me think and drink twice. First Impression: When you brand yourself as an Ultra Premium Vodka, you’ve got to back that up with the right packaging. Tasting Notes: You know I was a bit of a skeptic. The words ULTRA PREMIUM are about as over used in the vodka category as the word CRAFT in the beer industry. Boteco vodka actually delivered. Not only did that manage to accomplish a smooth tasting vodka from start to finish, but you get a really refreshing sweet finish on the end. Drink Suggestions: Works well with almost anything, We suggest a citrus based drink though. We mixed it with lemonade and fresh mint for a very refreshing Summer cocktail. Final Word: I’ve never been so quick to recommend a vodka to anyone, mostly because I think a lot of them are a fraud, and taste the same when mixed with anything. At that point it’s just about what’s your budget. 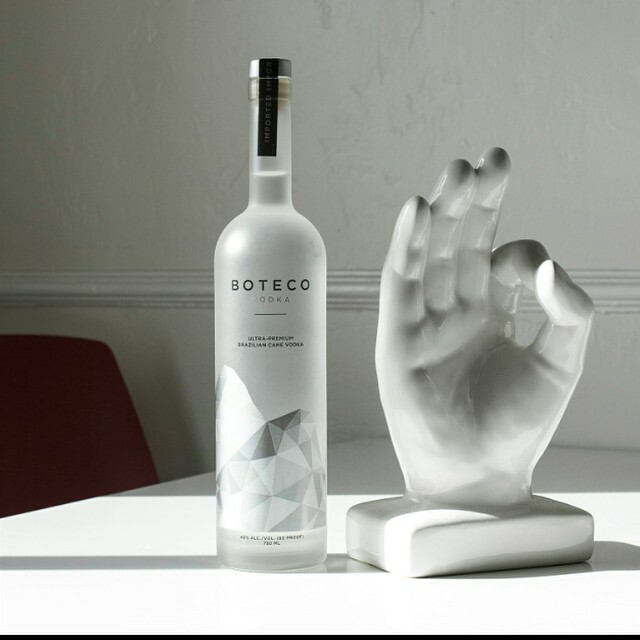 With Boteco I can honestly say I haven’t enjoyed a vodka this much neat or otherwise since I first tried Ciroc which makes you think, maybe we’ve gone about vodka all wrong. To date, two of the smoothest brands I’ve ever had are made with Grapes, and now with Sugar Cane. You can keep your wheat and potatoes. If you’re into premium vodka, you’re already spending $30+ on the big boys, give this one a shot and you wont be sorry.